THE PURPOSE of this chapter is to give information about the human soul such as will serve as a working basis for those who are struggling to attain Self-Conscious Immortality. To begin with we must know just what the soul is, and what it is not. Then it will be advantageous to know just how it was formed, and how it continues to grow. And finally, as the end which is of paramount value to each individual, the method will be outlined by which Self-Conscious Immortality can be won. The reflective mind will hardly deny that self-culture is an object of highest import to man. Externals are of value only when there is an inner capacity to appreciate them. Of what value, for instance, is anything to that which has no consciousness? The struggle of life in all its forms seems to be but the effort to acquire, retain, and express, consciousness. Lower creatures cling to life, and the hope of immortality dwells within each human breast. It is the climax and crowning glory of evolution, the longed-for goal of every aspiring heart. Such being the case, we are warranted in studying thoroughly how this desired end may be reached. And we can do no better in this at the start than to consider the principles underlying other great attainments. Take, for example, the stupendous achievements of the present age along industrial lines. These are without exception, founded upon man’s increased ability for exhaustive detailed research, together with his ability to combine the innumerable factors revealed by such research into an efficient plan of action. Whether he be a builder of warships, skyscrapers, power plants, or railroads, his success depends primarily upon his grasp of all the factors and principles involved, and upon his ability to combine them in such a way as to give a true picture of the means to be used to attain striven-for results. The primary requisite for success in any enterprise, then, is adequate knowledge. That success may actually be attained, adequate knowledge must be followed by adequate action based upon this knowledge. If we were to require a formula for success in any effort we might state it thus: The best and most certain results in any line of endeavor can be attained only by one clearly comprehending all the various factors and principles involved who, after becoming familiar with methods, and having decided upon some definite aim, carefully plans a course of action and persistently adheres to it in the face of all obstacles, making adaptations only to meet changing environment, or as the dictates of matured experience demand. If the human heart craves immortality, as it universally does, this is an end to be attained. As such it is subject to the formula just stated. That is, it can be attained more surely if its various factors are clearly comprehended and serve as a basis for persistent endeavor. What is it, then, that may be immortal? The soul. But what is the soul? This we must ascertain. Suppose we begin the explanation by saying that thought implies a thinker. If anything is known, there must be a knower. The individual who thinks and feels logically concludes he has an existence. Furthermore, in some manner, he feels sure of the identity of the “I” of yesterday with the “I” of today. There is something about the “I” of today which is the same as, and something which is different from, the “I” of yesterday. What it is that is the same, and what it is that is different, only analysis will reveal. Now back of consciousness resides the energy that expresses consciousness. Back of life in manifestation is the energy that expresses life. Back of all expressions of that which ultimately becomes the mind of man is energy. We are unable to think of the universe as nonexistent. Its energies must have been present in some state throughout the entirety of the past. In other words, the universe is manifesting today a potentiality that has always been present; for energy is not derived from nothingness. Likewise, back of all expressions of individual consciousness and form there is a potentiality. This potentiality, this energy that expresses itself through consciousness and form, finally expressing through the human form as the mind of man, was not derived from nothing. It is a potentiality as eternal as the potentiality behind the universe; for while energies express in different forms, one of the most stable natural laws is that of conservation of energy, the law that there is no more and no less energy in the universe today than there was in the infinitely distant past, or than there will be in the infinitely distant future. The “I”, therefore, that does not change, the “I” that we feel existed farther back than we can remember, and that we can hardly imagine as not existing in the future, is the potentiality which activates our existence. It is usually referred to as the ego. As to our consciousness, it cannot be said to be changeless. On the contrary it continually changes. I do not mean merely that the objective consciousness is aware of different things at different times, but that because new experiences are each day and each hour added to the total of our consciousness, that consciousness, in its entirety, is in a state of flux. Yet we identify ourselves with our states of consciousness. Insofar as we do this the “I” of today is different from the “I” of yesterday. The totality of these states of consciousness is the soul. We have no experience of energy not associated with substance, and no experience of consciousness not associated with substance. Nor are we justified in assuming that energy and consciousness are possible apart from some kind of substance. In fact, the human mind is incapable of thinking of a condition in which substance is absent. Of course, there are substances much finer than matter; but for energy to express, or for consciousness to be present, each must be associated with substance. When energy expresses as consciousness in association with substance, the substance is spoken of as the form, or body. From the fact that we now exist, no new energy ever being created, it is logical to assume that we each have at least potentially always existed. That is, the potentiality which we call the ego never had a beginning and never can have an end. But states of consciousness are more than potentialities, they are the result of specific activities. Until the ego inaugurated these specific activities there was no consciousness, consequently no soul. The ego must always have existed, but the soul only came into existence as the result of definite activities of the ego. The soul, therefore, probably has not always existed. When that potentiality which we now call the ego inaugurated the specific activities that resulted in the first gleam of consciousness, the activity was a movement of substance, and the consciousness itself was a special kind of motion in substance. Thus, the moment there was consciousness there was also a form. Consciousness, in fact, must be nothing, or it must be a movement in some kind of substance. Logically it cannot be nothing. And as movement in substance has form, and the soul embraces states of consciousness, the soul is ever associated with a form. Consequently, as soon as the ego has the first rudiments of a soul it also has at least the rudiments of some kind of a body. Before it had a soul, the ego existed as a potentiality, as an eternal spark of the infinite; coeternal with Deity. But there came a time when it initiated specific activities. Hermetic tradition holds that this was due to the love vibrations of angelic parents occupying a plane interior to the spiritual. That is, the undifferentiated potential spark of Deity was drawn to the celestial realm and there given birth by beings occupying that realm. At least it is certain that its potentialities were given a definite trend, otherwise there would have been no soul. As soon as specific activities commenced, there also developed an awareness of these activities. The ego came in contact with its environment, which was that of the celestial realm, and began to have states of consciousness as the result of its experiences. These states of consciousness of the celestial realm developed a soul sphere, a sphere of consciousness organized in celestial substance, about the ego. But the trend of activity given the ego by its divine progenitors was of immensely greater scope than could find expression in the infinitely tenuous realms of celestial life. 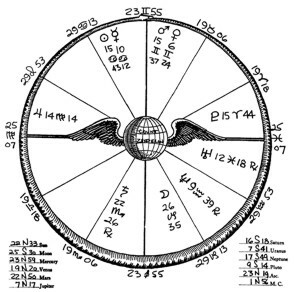 Its potentialities were directed to penetrating and conquering, that it might develop deific attributes, the lower realms of existence known as the spiritual plane, the astral plane, and the material plane. 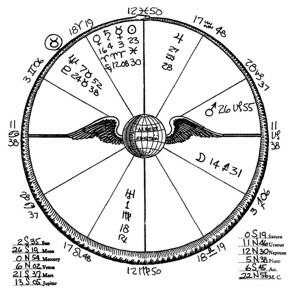 Hermetic tradition holds that due to laws governing such processes, the celestial soul sphere—the organizations of consciousness in celestial substance surrounding the ego—is unable to communicate energy to, or receive energy from, substances grosser than that of the highest spiritual realm. Because celestial substance is so much finer than the others, there are insufficient points of contact to transmit motion. A familiar illustration of this principle is the transmission of energy by radio. This energy has not sufficient points of contact with most physical objects to affect them. To cause motion in physical substance requires special conditions. And the ego, so Hermetic tradition holds, is able to impart its energies and directing power to substance coarser than the finest spiritual substance, only under conditions of a certain kind. 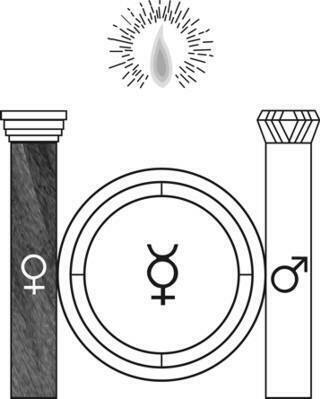 These conditions, under which the ego, operating from the seventh state of the spiritual world, is able to contact lower spiritual substance and thus transmit energy to still coarser astral substance and physical substance, are believed to be the polarization of its energies into two separate channels of flow; related to each other as positive and negative, masculine and feminine. The states of consciousness evolved by the ego, then, in the spiritual world, the astral world, and the physical world, represent two separate organizations. Each of these organizations of consciousness is a soul. We are familiar with somewhat similar organizations in the study of the structure of the atom. Each atom of matter, according to the chemistry of today, is a positive nucleus of energy about which revolves one or more negative charges of energy, or electrons. Each different element has a definite number of electrons revolving around the positive nucleus. In the case of man, according to the Hermetic conception, the constant factors are a single ego, about which revolve two human souls. The potentialities of the ego, therefore, are directed, due to the trend given it by its angelic parents, to developing these two, male and female, souls. This development is accomplished through experience. In fact, the only possible way of developing consciousness is through experience. All knowledge, as was illustrated in detail in Chapter 1 (Serial Lesson No. 39), Course I, Laws of Occultism, necessarily rests upon experience. This will the more readily be understood when it is realized that consciousness is a perception of relations, and that apart from an awareness of relations there can be no consciousness. But in order for there to be such awareness, relative conditions must be contacted. These conditions are present only in association with substances. That is, it is possible to evolve consciousness only through contact with substances that in some manner display differences; for only through the awareness which perceives likeness and unlikeness is there consciousness. It will now be perceived that if the ego is to emerge from its state of unconsciousness, in which it has neither wisdom nor feeling, its sole attribute being potentiality, it must contact the plane of relative existence; it must contact the region of substances; it must contact conditions that provide it a basis for comparison. Let us get this clear: Either the ego remains in a state of absolute ignorance and absolute insensibility—a state that is better than complete annihilation only because it contains the potentiality of becoming the other alternative—or it must gain experience through contact with relative conditions. If the ego is to possess the qualities that make for an existence that can be considered worthwhile, it must have experience with various grades, or conditions, of substances. What, then, is necessary to contact substance, and what is necessary to utilize the perceptions gained by such contact? To contact substance, there must be an attractive power. To utilize impressions gained from substance there must be developed a mechanism of consciousness. The soul, then, develops a dual function: It acquires the power to attract substance, and it evolves the quality of retaining, in specially organized substances, the consciousness of its experiences with other substances. In order that these experiences should be varied enough to constitute worthwhile knowledge, to constitute a consciousness of some scope, it is obligatory that the ego, through the soul, should contact numerous conditions and states of substance. These are to be found in form. Thus it is that the various forms of life with which we are familiar are all being used as vehicles, by which souls gain experience and so widen their knowledge. The scope of experience that may be had in association with any single form is limited. Therefore, the soul developed the power of attracting one form and using it as a vehicle of experience for a time, and then attracting another form. Yet before the second form can be utilized as a vehicle, the first form must be left, or repelled. But the universe is not filled with ready-made forms. Consequently, in order that it may have just the form to meet its temporary requirements, the soul developed the power to mold forms. To state this conception in a somewhat more concrete way, let us think of the ego as the source of energy. The ego has no wisdom, no consciousness, until it has experience; for consciousness is the result of experience. When it does commence to have experiences, these experiences are recorded as states of consciousness; and the sum total of all these states of consciousness comprise the two souls of one ego. That is, according to the Hermetic tradition, each ego, in so far as substance coarser than the finest spiritual substance is concerned, has two different organizations of consciousness, two souls. But the function of a soul is not merely to record states of consciousness. A state of consciousness is not nothingness, therefore, it must be something. And it can only be an organization of energy in some kind of substance. It may be an organization of energy in astral substance, or if fine enough, in spiritual substance, or if of still greater sublimation, even in substance interior to the spiritual. But it is always an organization of energy, and as such has the power to perform work. That is a function of all energy; to perform work. And the energy of consciousness has the power to attract substance and mold itself a form, or body, that corresponds to that consciousness. It uses this form to gain still further experiences, and these experiences are recorded and become a portion of the soul. Because it now has a more complex organization than before, it is able, after repelling a form, to attract another that is of greater complexity. Experiences in successive forms enlarging its states of consciousness, which are additional organizations of energy, enable it later to attract a body of still higher organization. Thus it is that the soul has a dual function: that of attracting, molding, and repelling the various forms that give it experience; and that of recording these experiences. Consciousness, which records these experiences, implies an adjustment of internal relations to external relations, and this process of continuous adjustment we call conscious life. But even as there can be no consciousness, knowledge, or wisdom, except that based upon experience with forms; so there can be no love, no attraction, other than through association with form. The former are perceptions of relations; but these relations which are perceived are simply the feelings of various degrees of attraction and repulsion. Without the perception of relations there are no attractions and repulsions. Yet these, when they become sufficiently complex, we term love. As love is dependent upon perceptions of relations, and these are dependent upon experience, it will be seen that apart from experience with relative conditions there can be no love, and no knowledge of love. There can be no consciousness of attraction, no love, except that developed through experience with forms that have various qualities. Not only then, does the soul exercise the power of attracting and repelling forms, but its ability to attract and repel forms depends upon its experiences in so doing; for each experience adds to the consciousness. It should be plain, therefore, that without the experiences of external life, without the experience of functioning through various forms in some sort of substance, there would be no soul, and there could be neither feeling nor knowledge, neither Love nor Wisdom. Life, likewise, implies change. We cannot think of life apart from alterations of the internal structure. Yet movement is impossible apart from substance. Consequently, the ego could have no life, other than being merely a potentiality, except through association with form. Without the experience of functioning through various forms in some sort of substance there could be no love, no wisdom, and no Life. To the question so often asked as to why we are here, why man must pass through experiences, some of which seem heartrending, the answer is plain: Without some such experience there could be no Life, there could be no Love, and there could be no Wisdom. We cannot perceive the light, except we have had experience with varying degrees of its intensity; and if we have had some experience with darkness, we the more readily appreciate the light. We can have no knowledge of the good, unless we have had some experience with that which is less good; and if we have had some experience with that which we call evil, the good is the more appreciated. Sweetness, to the sense of taste, is only perceived by comparison with things less sweet. It takes the sour, such as lemon, to bring out in proper contrast the sweetness of honey. In fact, the wider the range of experience the clearer the perception of qualities and values. Without some such experiences with form as we are familiar with there would be no life, no consciousness, no knowledge, no love. It is impossible to imagine how life, wisdom, and love could be developed, or could exist, without some such chain of experiences as those with which we are familiar. As to the why of existence itself, that is, the why of the potentiality manifesting through the universe of form, we are not called upon to explain it. We cannot conceive of a condition in which existence is lacking, nor have we had any experience that suggests such a condition ever was possible. It is quite enough, then, for the human mind to attempt to explain how existence acts and is conditioned, without attempting to commence from nothingness, which is logically impossible, and show how all that exists was derived from this unthinkable, impossible, abstraction. But if we commence with a potentiality, such as the ego undoubtedly is, it is not difficult to trace the steps by which the soul must have gradually developed until it finally functions through the body of man. As I have already shown in some detail, the attractive power that for convenience I call Love and the consciousness that for convenience I call Wisdom, are developed only through experience with form. I mean here that all activity and life are due to the principle of attraction which to generalize I refer to as Love, and that consciousness results from the activities so engendered. Such consciousness, in all its forms, I generalize under the term Wisdom. Furthermore, the feeling of attraction and the consciousness are intensified in proportion to the contrasts in experience. For instance, if we have just tasted something sweet, we are the more conscious of, and the more repelled by, the taste of something bitter. In fact, the wider the contrast is between experiences, the stronger they tend to impress themselves upon consciousness and the stronger they attract or repel. And the more varied the experience, the more shades of consciousness, the more discrimination possible; and the more shades of feeling, the wider the sensations and emotions. Therefore, if the soul is to develop power; which depends upon its strength to attract and repel, upon Love; and if it is to develop knowledge, and not remain semiconscious, it must have experiences of as wide contrast and of as great variety as possible. Contrast means strong impressions and strong desires. Variety means discrimination and fine shades of feeling. A creature without these is not alive in the full sense that man is alive. Its attractive power and its subjective consciousness increasing, it gradually gains the ability to attract forms of grosser spiritual substance; and after much experience living subjective lives in the lowest grade of spiritual substance, it finally gains the power to draw about itself an astral form. This process continues in the astral realm. These forms inhabited on the astral plane are termed elementals. As soon as the experiences in one astral form have been assimilated, this form is repelled and the organizations of energy thus gained enabled it to attract a still more complex, and a still more dense form, until finally a time is reached when the soul has enough energy, or love power at its command, as the result of its experiences in spiritual and astral forms, to enable it to attract about itself a physical form. This is the first objective experience; it becomes incarnated in a mineral. The mineral form of life is the lowest rung on this Jacob’s Ladder by which the soul descends from, and ascends to, heaven. Carried on the mineral life wave it enters the zone of the planet where its first expression of external life is to be experienced. By its power of love, which is the outcome of its experiences upon the descending arc of its cycle, it attracts to itself the attributes which constitute a crystal of matter. This initial crystal is the simplest form of mineral. The attributes expressed by it are due to the polarizing power of the soul. At this point in its journey, for the first time, and as the result of the accumulated impersonal wisdom gathered through the power of love, or attraction, it becomes self-conscious. It is no longer an impersonal being impelled forward by inner and to it unaccountable yearnings. It is now a self-conscious entity endowed with all the responsibility of a morally free agent; a responsibility varying in individual cases, being proportional to the ability and the opportunity. At every step of the wearisome journey there has been the dual action of the soul. It has ever recorded for the ego the perceptions which constitute its store of wisdom, and these states of awareness for the sake of convenience we can classify as thoughts. Thus also all experiences which the soul has had may be classified according to the kind of thought elements they contain. And even as the protoplasm of physical life exists as cells, so does the psychoplasm composed of thought elements exist within the finer forms as thought cells and thought structures they have built. And these exercise the power of love to attract, evolve, and finally to repulse forms. The form which the soul occupies at any given moment of its journey is determined by the strength and direction of its love. The strength and direction of its love at any given time is dependent upon its accumulated experience, which I here term wisdom. Thus the soul has been gaining in both Love and Wisdom at every step of its cyclic journey, and these two are the Isis and Osiris of all life. An acorn falls to the ground, germinates, and becomes the giant oak. No materialist can say, in spite of chromosomes and chromospheres, just what and where is the power that molds the oak into its unyielding form. Remove any single root or branch and the oak still lives. Cut it down in its prime and a new growth springs up. We cannot say the oak is another tree if it loses a branch, nor can we point out the exact locality in space where the real oak lives; yet we tacitly admit that there is a real oak that molds the physical to its present form and structure, a something that shapes it thus rather than to the form of a pine. In time the tree dies, its physical form disintegrates, and the particles which have formed its body pass into other forms. What, think you, has become of the force that molded these particles to its specific structure? Do you think it is lost? No so! It has passed onward again to mold a form, this time a higher form that will meet its more advanced need of expression. It never again becomes the oak, for evolution is the law of objective existence. It is never, therefore, attracted to the same form, but always to one still more perfect, one more advanced, even though slightly, in the scale of being. The scale of being is complete in the divine form of man. In man form reaches its highest state of perfection insofar as mundane life is concerned. The gamut of being embraced within the human form is a miniature representation of the entire universe. Reaching down from the realms of undifferentiated unconscious spirit to the dense mineral there is a perfect gradation of substance, and a perfect scale of life forms. From mineral back to God extends Jacob’s Cyclic Ladder, each rung upward a more perfect form, a more complex expression of Love and Wisdom. Each ascending step in this progressive movement is a more perfect form. Through form alone can the soul gather from the tree of the knowledge of good and evil, and only after partaking of this fruit, which embraces its experiences, is it also able to partake of the tree of life; of undying love. In this cycle of experience it passes through all the lower forms of life, but its orbit being spiral, ever ascending, it is never required to enter the same form of life a second time, never compelled to taste of the same fruit twice, never forced back into a form through which it has once passed. Man is not, by any means, the acme of perfection, nor the climax of evolution; but contains within his form all the states through which he has already passed, and in addition, those in embryo through which his future evolution in super-mundane spheres will enable him to progress. Man is simply the point of transition from mundane to super-mundane realms of life. From mineral up to man there are seven evolutionary states of life, and from man up to the angel there are seven more. Man, therefore, stands midway between the mineral and the angel. He is ushered into physical life in the human form because he has earned the right to that form by virtue of the soul’s evolutionary journey through the lower realms of impersonal being. He possesses the potencies both of mortality and of immortality; he has the possibility of becoming either God or Devil. In man the acquired experience of attraction and repulsion, the various manifestations of the love principle as tabulated by his soul, blossom forth as Self-Consciousness. This self-consciousness is a much wider perception than is possible in any of the lower forms of existence, but it is by no means the highest state of consciousness possible even to embodied humanity. Exceptional individuals spontaneously, and others through training, have the power to place themselves so in rapport with the universe as a whole that they discern the oneness of all life and the relation of the various life forms to the whole. This wider mental state is called Cosmic Consciousness. And there is still a higher consciousness, called Divine Consciousness, that can be attained while the soul occupies the physical body, in which it attains rapport with the soul sphere of the ego. This soul sphere of the ego retains the records of the ego’s experiences in higher than spiritual worlds. The soul by this means has access not only to the perceptions of the astral brain, but is able to utilize the almost unlimited consciousness of a well-developed spiritual brain, and even tap, through its conscious rapport with the ego, information relative to still higher spheres. It will now be apparent, in spite of such an interpretation by religious hierophants who wished to place and keep woman in servility, that woman was not the cause of the fall. That man fell from a state of Edenic purity into grosser conditions through yielding to temptation is a tradition held by widely disseminated peoples. Eve yielded, and partook of the Apple of the Tree of Good and Evil, because she was promised it would bestow wisdom. This apple is the fruit of incarnated experience. The soul, therefore, descended from its spiritual state to enter physical form, where it must gain its daily bread by the sweat of its brow, because it was tempted by the desire for wisdom, which could only be attained by experiences in form. What is the tree of life? Immortality is life without end. Life and consciousness are only possible in association with form. Therefore, immortal life depends upon the ability of the soul to attract to itself such forms as will enable it successfully to adapt itself to its environment; for life only expresses through form so long as there is successful adaptation to the environment. Continuous adaptation to environment is continuous life. And while the life of the physical body may undoubtedly be greatly prolonged, the earth in time will reach a state when it will no longer support physical life. Man can hope for lengthy life, but not for immortality, in the flesh. He must, therefore, if self-conscious immortality is to be attained, develop the power to attract about his soul a form of the substance of the plane whither the tides of the evolutionary life wave carry him. Nor will he tarry indefinitely in the astral; for the astral, like the physical, is subject to changes that in time will make it unfit as his abode. Ultimately, he will be swept along by forces that are as certain as is physical death, to realms above the astral, to the spiritual realm; yes, later, to regions even above this. But if he is to survive on the spiritual plane; that is, if he is to retain consciousness, he must have the power to build himself a form of spiritual substance. Such a form can retain, as modes of motion, all the past experiences of the soul, if points of contact are provided by which the slower velocities of astral substances can transform their energy into spiritual velocities. To carry the consciousness into spiritual realms, vibratory rates must be set up of sufficient frequency that they will organize spiritual substance into a form which will receive from the astral body, and retain, the states of consciousness recorded there. The rates of motion of common worldly thoughts, those of base desires, and those of selfish interest, have too low a frequency to influence spiritual substance. The person who has no higher thoughts and aspirations than these does not build a spiritual body. If he ever gets a spiritual body, which he probably will, he will have to organize it by noble aspirations, unselfish endeavor, and devoted love on the astral plane, after physical death. Individual survival depends upon the ability of the entity to adapt itself to ever-changing environment. There is no such thing as rest in nature; there is an eternal procession of creation and destruction of form. Continuous consciousness, therefore, depends upon the ability continuously to adjust the internal relations to the external relations. Conscious life consists of this adjustment, and if it is to be without end, there is Immortality. To accomplish such a progressive adaptation the soul is concerned with but two factors: Love and Wisdom. These are the tools with which it works. They are equally important and essential, and the successful performance of its task depends upon their continuous application to an increasing range of material. And in this application, quality is important as well as quantity. The plan of action by which Self-Conscious Immortality is to be attained is this: Man must develop, to the highest possible extent, the attributes of Love and Wisdom. Knowledge of physical phenomena is essential on the physical plane, but life on the higher planes requires man to gather, through study, meditation, and the exercise of the psychic senses and the higher states of consciousness, as much information as possible about higher realms and about living the life of the spirit. Furthermore, in the exercise of the wisdom which contributes to immortality, the attitude toward the various events of life, the freeing them of the dross of experience, and combining them mentally so they will flux to give an intensity of vibration sufficient to affect the higher velocity of spiritual substance, is important. This subject is given detailed discussion in Course III, Spiritual Alchemy. Love, also, like wisdom, is of various grades, and man must strive for quality. He must not permit his love nature to atrophy; for upon love, fully as much as upon wisdom, depends immortality. Nor in the exercise of love should he make the mistake of trying that which psychology proves to be impossible, trying to love all without first loving one or more of the individuals embraced within the all. The love of husband and wife, of parent and child, are sacred, and are the most certain steps by which is developed the love of God, the love of mankind, and the love of all creatures. This discussion has now shown, I trust, that the soul embraces all the various states of consciousness organized in astral substance and in spiritual substance by the monad in its descent from spirit to matter and in its evolution from mineral upward. This organization of energy which constitutes the soul results from its experiences with form. To attain immortality the soul must have the love and wisdom to construct for itself forms in which to function on higher planes of existence than the physical and the astral. To do this it must continue to exercise and develop Love and Wisdom to a degree that it can influence the substances of such higher planes. To gain as much information about all other entities in the universe and one’s proper relation to them is the exercise of the greatest Wisdom. To work persistently to be of greatest possible service in this universal society is the expression of the highest love. A life devoted to the exercise of such Wisdom and such Love builds for itself an imperishable form on the spiritual plane that provides, here and now, for Self-Conscious Immortality. 1900	examiner of patents at Berne: Sun trine Moon r.
1905	published Restricted Theory of Relativity: Mercury trine Uranus r.
1915	published General Theory of Relativity: Sun trine Uranus p. 1921, member Royal Society: Sun semisextile Saturn r.
1933	professor of mathematics at Princeton: Mercury sextile Venus p.
1939	announced mathematical bridge embracing gravitational field electromagnetic field and material particles: Mercury square Mars r Venus sextile Uranus p.
1858	commission in army: Venus conjunction Mars p in M.C. 1862-3	volunteer under Grant in Civil War, first time balloon used in any warfare: Sun opposition Neptune (aviation planet). 1890	started to build first airship: Venus opposition Neptune p.
1900	first airship flight, in air 20 minutes, wrecked in landing: Mars sextile Jupiter p, Mars opposition Moon r.
1906	successful airship flight, speed 30 miles per hour: Jupiter trine Moon r, Venus semisextile Jupiter r.
1913	first dirigible regular sea service: Sun trine Moon r.